Zanice Bond de Pérez received her Ph.D. in American Studies from the University of Kansas (KU) in May 2012. While at Kansas she served as co-director of the Shifting Borders of Race and Identity Project, a KU/ Haskell Indian Nations University collaboration funded by the Ford Foundation which examines the intersections of African Americans and First Nations people. Zanice earned a B.S. in Communication from Ohio University and an M.A. in English from Tennessee State University where she was inducted into Phi Kappa Phi Honor Society. She also completed Gupton School of Mortuary Science and is a licensed funeral director and embalmer. 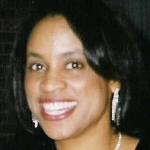 She was a participant in the 1997 National Endowment for the Humanities (NEH) Summer Institute entitled “Performance and Text in Caribbean iterature” at the University of Puerto Rico; and attended the Pontifical Catholic University of Rio de Janeiro in Rio de Janeiro, Brazil for a summer session which examined the military dictatorship’s impact on the arts. Her current research interests include immigration history, 20th Century African-American literature, Afra-Latina literature, and critical race theory. Two of her poems were included in the anthology, Dark Eros published by St. Martin’s Press in 1997.